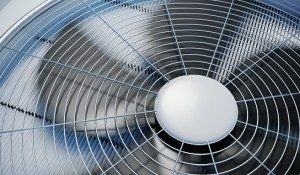 Is Your Summer Cooling Unit Clean Before Turning It On? Air conditioning systems in the home and commercial rooftop units are breeding grounds for mold spores and mildew that can adversely affect the health of its occupants. AT RDS Environmental, we have first hand experience in responding to building occupants that were experiencing upper respiratory symptoms, only to find the building’s air quality had been severely compromised with elevated levels of mold spores. This summer, before you turn on your cooling unit, prevent the distribution of mold by having your AC unit inspected and cleaned. This also applies to new home buyers or those that have completed new home or building construction. Home inspectors are discovering an increased numbers of mold growth in new construction – mold that may be covered by paint or drywall. Once hidden mold starts growing, it will circulate through the air conditioning unit and pass through vents, right into living and work areas. In Air Ducts – caused by excess moisture in an oversized AC unit, water leaking through roof and penetrating air duct joints, and inadequate ventilation of areas that are moisture prone, such as bathrooms and basements. On AC Evaporator Coils – the combination of dust and moisture will create a prime breeding location for mold. Mold accumulates as moisture is continually forming on the unit coils as the warm air is cooled prior to circulation. That same moisture also drips onto the AC unit’s drip pan to create the perfect environment for mold spores to thrive. Within Swamp Coolers – mold build-up can occur in several locations within swamp coolers – on the cellulose pad, the belt-driven fan, and on other surfaces within the unit. The saturated components will allow mold spores to grow and be distributed within the home. The only way to know if and how much mold is present in your home or business is to enlist the services of an experienced and reputable air quality testing and remediation service. At RDS, we can also advise the property owner on ways to control moisture that will limit the growth of mold. If a foul or musty odor is noticed within the home, we not only perform the right tests to determine levels of exposure, we can also clean your AC unit, making it free of unhealthy airborne mold spores. When it rains during construction, water or condensation can enter through cutout openings for plumbing, HVAC vents, or windows. The use of drywall or other construction materials that already harbor mold spores on surfaces. Sub-standard foundation practices (such as poor slope and drainage) can cause many scenarios which expose the home’s basement walls and floors to underground moisture, rainwater, or leaking pipes. The safest solution to preventing respiratory illnesses, skin irritation, and other allergic symptoms of mold spores circulating within the home, is to have a professional perform mold testing and removal services. Mold spores can have a negative impact your home’s air quality, especially during the hot months of summer when an increase in cooled air will require near constant AC usage. Contact RDS Environmental to make sure your evaporative coolers, swamp coolers and A/C units are cleaned prior to turning them on. As a property owner or after constructing a new home, the only way to know if and how much mold is present in your home is to enlist the services of an experienced and reputable residential air quality testing and remediation service.